Geek Deal Of The Day Part 2!!! 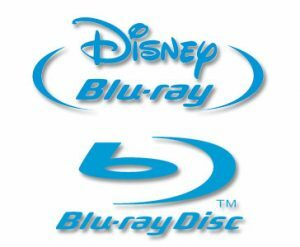 Tons of Disney Blurays 50% Off Plus an Additional $20.00!!! If you purchase three of the qualifying Disney films together, $20.00 will be deducted from your order. And right now a lot of these Disney titles are 50% off. CLICK HERE TO TAKE ADVANTAGE OF ALL THESE GREAT DISNEY TITLES!!!! Some titles include the Tron films, Tangled, the Toy Story films, Up and more. Geek Deal of the Day!!! Tron & Tron Legacy Blu-Ray 5 Disc Set!!! 50% Off!!! ‘Tangled’ Boasts Original Stars In New Series For Disney Channel!!! This entry was posted on Wednesday, April 20th, 2011 at 3:39 pm	and is filed under Film, News. You can follow any responses to this entry through the RSS 2.0 feed. You can skip to the end and leave a response. Pinging is currently not allowed. « There is a Samurai Robot Movie Coming Out Written By People who worked on Alias/Lost/Fringe!! !